During the hot Summer months and cold Winter months in Southeast Michigan it’s important to have a heating and cooling system working in tip top shape. Finding out in the middle of a zero degrees night that your furnace isn’t quite up to the task of keeping your home warm is definitely no picnic. But neither is having your air conditioner decide to fail on the hottest day of the year. This is usually when it seems like an HVAC system stops working properly. And if you ever had one go out on you then you’ll probably agree. Keeping your HVAC system running in tip top shape isn’t as difficult as you might think. There are things you can do as a homeowner to help reduce the risk of your HVAC system quitting at the most inopportune time. I’ll go over a few of these tips below. I simply can’t stress enough about this. When your filter is dirty or clogged the energy your unit uses is higher. It also works internal parts much more. Heat may build up in components because of a higher energy load and cause parts to fail prematurely. Chances are you’ll see an increase on your energy bill once your system starts needing a filter replaced. One thing to keep in mind is that changing an air filter prematurely does not harm the unit in most cases. 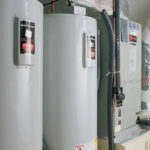 It may cost you a little more money to change the filter more often but it can certainly help in terms of energy costs. It can also help your unit to last longer. There are currently 4 people who live in our home. And everyone has a different comfort level. They may all be in a few degrees but everyone wants to control the thermostat and set it to their liking. But doing this too much can actually be bad for the unit. Pushing a thermostat up and down too quickly can cause problems related to the compressor of the unit. Typically, a compressor needs about 3 minutes to reset once it has been stopped. Giving it a few extra minutes and waiting 5 minutes to be sure is best. Programmable thermostats don’t have this problem because the reset time is included with the thermostat programming. Make sure that you get HVAC service in southeast Michigan at least once per year. This annual inspection can save you lots of money on repairs if they are caught ahead of time. It could also save you a frigid night if your furnace decides to quit on that coldest of nights in Michigan. By getting inspections the technician can find small problems and repair them before they become huge problems. You can also get your unit cleaned and the ducts cleaned during the inspection which can help you system run better and be more energy efficient. 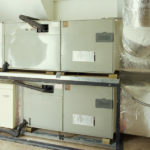 When you get HVAC service in southeast Michigan it’s also best to go with a licensed contractor. By doing so you’ll be back up and running fast without much hassle.